As a child, Spencer Sekyer’s world was a simple one. He grew up in a small town, where many of his days were spent hunting in the woods and pursuing his dream of becoming a professional athlete. But when his athletic career ended, he found himself seeking new goals. Spencer returned to school and became a teacher. Realizing he still had much to learn about the world, Spencer set out to explore its most dangerous areas. He traveled to Sierra Leone to volunteer in a local school, followed by trips to the West Bank, Afghanistan, and Haiti. Each time, Spencer returned home a little wiser, a little more emotionally mature, and a little more ready to give back to a world that had given him so much. In Duhok, Kurdistan, Spencer’s journey took a new turn. After stumbling into a local zoo, Spencer formed an unlikely bond with Manno, a young chimpanzee who had been kidnapped from his family in central Africa and sold into captivity. Determined to get Manno back to his home, Spencer began to investigate the shadowy, dangerous world of global animal trafficking. Facing resistance at every turn, and with ISIS closing in on Duhok, Spencer finally set in motion an international effort to get his friend to safety, before it was too late. Bursting with compassion, inspiration, and courage, Saving Manno is a testament to the fact that every one of us has the power to change lives and make the world a better place. The lukewarm drink slipped down my throat, filling my stomach with fire, vaulting up into my nose and making me gag. My watering eyes drip-dropped into the shallow wooden bowl as I lowered it from my mouth, and my tears made ripples in the runny concoction that looked, smelled, and tasted like a tobacco chewer’s spit cup. Each sip left my lungs breathless and body ablaze, but I chugged it back until the sandy dredges coated my upper lip. I gave the wooden bowl back to Don Luis, the shaman standing at the edge of my stained mattress clad in a white guayabera with colorful cuffs. He took it to the center of the room, which was lit solely by moonlight filtering through the temple’s thatched roof in the depths of the Amazon rainforest. Don Luis had led me here from my cabin in Selva Madre, a twenty-two-hectare chunk of the Peruvian jungle that resembles the Garden of Eden in daylight. At the hour of my ceremony, however, it might as well have been the dark side of the moon. My headlamp illuminated the treaded paths as I followed him through the compound, across planks layered over creeks and ditches, under the brightest stars I had ever seen, and into the temple, where eight mattresses lay against the walls. He checked behind each one for snakes and gestured for me to choose one. I picked the mattress nearest a screen door to the outhouse, in case I needed more than a bucket to purge. I settled into a yogi position, studying Don Luis’s silhouette as he stood at a table mixing liquids from plastic pop bottles with their labels peeled off. He chanted, lit a thick, hand-rolled cigarette, and blew wisps of smoke in the world’s four directions, repeating a prayer after each massive exhale. Finally, he approached me with his outstretched arm to take my pulse with his clammy fingers. “Very good,” he said, stretching each vowel forever, before returning with the bowl, blessing it with a blast of smoke, and placing it in my hands. My stomach gurgled within seconds of swallowing the liquid, but there was no immediate effect. I shifted into a balled-up posture under Don Luis’s watchful eye, expecting visions and answers to questions I hadn’t yet thought to ask. I’d sojourned alone on this spiritual retreat because I was at a crossroads. A brew of blessings and hardships over the previous months had destabilized me, leaving me pondering my purpose in the world. After thirty minutes, I wondered if I was in the one percentile of people for whom ayahuasca has no psychotropic effects. Just then, my body went numb and my cheeks felt elastic, as if they might droop into my lap. A wave of dizziness overcame me. Here it comes, I thought. From out of the darkness, Emma, my beloved mutt, shimmied toward me. She hopped onto the mattress and rested on her haunches at the edge of the bed, out of reach. She was mangy and malnourished, her skin almost snaking across her ribs, looking as she did when I found her and her nine puppies in a ditch in Kabul, Afghanistan. This isn’t real, I reminded myself. Emma died last month. I lurched forward to pet her but she disintegrated into pixel-like orbs. As Emma disappeared, four shadows glided toward me like black stratus clouds turned on their sides. Their paces quickened until they were almost flying, and I reflexively threw my arms over my face for protection. I fell onto my back, facing the open ceiling, with my eyelids locked closed. My skin began to sweat, and I saw colorful neurons firing behind my eyelids, threading into patterns resembling textiles in Arab souks. I let the hallucinations flow through me, let my stomach churn, let the dizziness rattle my consciousness. I kept touching my face, reminding myself aloud, “This is still me.” All the while, Don Luis switched from singing and whistling anicaro, a melodic medicine song, to only whistling it. When I opened my eyes, the faint light on his loose white shirt and spread arms in front of me turned him into a soaring eagle. He and the small fire burning at the end of his cigarette were mesmerizing, and I believed I’d seen the essence of his soul. The cloud-like entities still loomed over me. I opened my eyes to face them. I heard whispering, and I realized what they were. Who they were. They were my critics. The people who have attacked me for helping the needy abroad instead of “our own,” or who have called me a white savior for trying to do good. The voices that have lambasted me for rescuing animals instead of people, or dogs in other countries when we have so many strays at home. They were the critics that have condemned me as a try-hard, a show-off, a hypocrite. Then, a flash of an old dog-eared snapshot from my family album made me smile. It was me and my brother as small boys, holding dead ducks we’d shot on a family hunting trip. My smile in the temple disappeared, but it stayed forever in the photo. Was that a moment of childhood innocence or did it reveal something inherently evil about man? What was wrong with me that remembering that moment after four decades brought me joy? I sprinted through years of hunting innumerable sentient beings, struggling to come to terms with the pain I’d caused. The swallow I’d thrown rocks at on the fairground where I’d worked one summer. All the coyotes I’d hunted, convinced I was in service to a greater good. They were probably as smart as the domestic dogs that brought love into my heart and changed my life forever. Am I a hypocrite for my past deeds, or just an evolving animal? I thought. I rolled onto my side. My temple throbbed so viscerally that I could have sworn someone was pushing on my ears. I could almost see the outline of a small face close to mine. Was it my unborn child? The boy—I believed—forming in my wife Christie’s womb? Or was I the baby in this scene, experiencing the pressures inside the womb of the world? I rolled onto my back to face the vision. It was my son. A miniaturized me, blond-haired and blue-eyed. But he was not alone. Beside him sat a baby chimpanzee of equal size. It was Manno. My friend stuck in a zoo in Iraq, kilometers from a war zone in Mosul, staring at me with those massive brown globes he has for eyes. He stretched out his long arm and placed his wrinkly dark hand on my son’s chubby leg. I saw it now. They were one. Their needs were no different. Their instincts the same. Their right to life, to happiness, equal. As I lay there, now surrounded by the sounds of the jungle, I reflected on the question I had come to answer: What is the meaning of life? It was the question that had started me on this journey, and as I stared at the images of my son and Manno before me, I realized the answer had always been there. The meaning of life is love. Of course it is. Love is really all there is. This newfound awareness was beautiful in its simplicity. We all inherently know it. But to feel it in my core was euphoric. I felt a renewed sense of purpose. I had a responsibility to love. My wife. My family and friends. Animals. Soon, our baby would add more love to our lives. To be of this world is to live for this world, and the highest expression of that is to give love. The answers comforted me and turned what had started out as an incredibly uncomfortable experience into a calming exaltation. This is the beauty of ayahuasca: it will show you what you need to know, what you need to work on, but it’s on you to do the required work for any meaningful transformation. In that moment, I realized what I had to do—to give love to the helpless, I had to get Manno to a sanctuary so he could live the life he was entitled to live. I had to change his world, not mine. The journey of Spencer Sekyer in described in Saving Manno, an inspiring memoir about one teacher’s travels around the world and his relentless efforts to rescue a chimp in danger. Spencer has taught in Sierra Leone, the Dheisheh refugee camp, the West Bank, Afghanistan, Ethiopia, and Haiti. He lives in Edmonton where he got his first taste of teaching which then led to travel and voluntourism. His project has been a work in progress for a number of years and has become more and more of a passion for him. Spencer Sekyer has seen many things on his journeys, but he was unprepared for what he found at the Duhok Zoo in Iraqi Kurdistan. There, he met Manno, a baby chimpanzee who had been kidnapped from his family in central Africa and sold into captivity—a casualty of the shadowy, perilous world of international animal trafficking. When Manno first crawled into Spencer’s arms, both of their lives changed. Manno was just an innocent baby, but Spencer knew that when the chimp was fully grown, he would become a danger to himself and others. There was an even more pressing threat: the Duhok Zoo sat mere kilometers from the front lines of the war against ISIS. The thought of Manno being forced to live out his adult life in a cramped cell in the middle of a war zone plagued Spencer. So, he set in motion a plan to rescue his friend. Spencer wasn’t an animal rights expert or a zoologist, but he learned to navigate the tricky politics and bureaucracies of international organizations and he assembled a team of activists to help him move Manno to a sanctuary in Kenya more than 6,000 kilometers away. As the ISIS invasion crept closer, and with Manno’s fate in their hands, the team raced against the clock to give Manno what he truly deserved: a chance for a new life. Saving Manno is the story of one man and one chimp and their incredible relationship. Sekyer learned on the fly how to navigate volatile political situations, circumvent the trafficking of exotic animals, and persuade key people to help with the ultimate goal of providing an appropriate living situation for Manno, who becomes a symbol for all mistreated animals. 6. be able to create oral, print, visual, and multimedia texts where required to enhance the clarity and artistry of communication. Non-fiction is the type of writing where the author assumes the responsibility of truth and accuracy. It is different from fiction where the reader is aware that, though the topic may be realistic, the characters and events are imaginary. Non-fiction writing is generally assumed to be an accurate portrayal of real events and situations involving real people. This type of writing is often biographical or autobiographical in nature. Saving Manno is a non-fiction book. 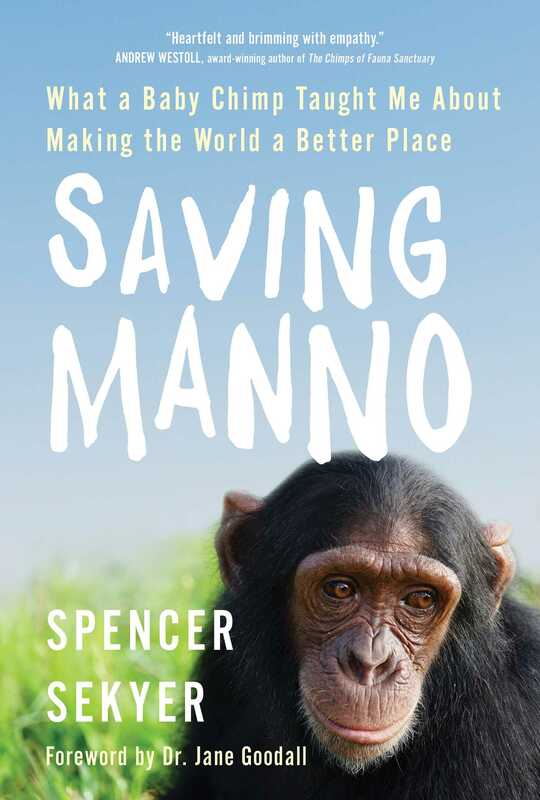 As such, Saving Manno is Spencer Sekyer’s account of how he met Manno, how Manno won his affection, and how Spencer became engrossed in saving Manno, many times putting himself in jeopardy to preserve the life of his new friend. It does not stop there. Spencer Sekyer wants readers to be aware of and get passionate about the growing problem of animal trafficking in our world. As you approach the task of reading Saving Manno, let me interest you in a process called active reading. Active reading is a reading strategy where the reader becomes actively involved in the reading of a text in order to gain a better understanding of it. This can take a number of different forms. The reader may use a highlighter to highlight the important aspects of the text. This could start with the title as often the title is an important clue to the main idea of the text. Active reading can also be done by using coloured sticky notes to track different topics within a text. The benefit of using active reading strategies is that reading a text in this way helps the reader to set a purpose in reading and to connect personally with a text. Another advantage of being an active reader is that the reader is encouraged to ask questions about the text and predict what may or may not happen within the text. As you read Saving Manno, identify sections that demonstrate the development of the elements listed below by colour coding them with small sticky notes. These colours are arbitrary and you may choose whatever colours you wish for whichever categories you like. The main point is to separate ideas that you encounter in the text and keep them in your memory. The key is to use the same colour of sticky note for the same element throughout the entire text. By flagging information in this way, you can scan the text easily for important information relevant to your topic. You can find information quickly for cultural differences, travel, Manno, and animal treatment. Being able to scan your text quickly saves you a lot of time completing later assignments. What are the key concepts that you have learned? - What is the message? - What is the purpose of the author's message? - What are two points or techniques the author uses to enhance his message? - Who is the audience?How could the reader benefit from reading this text? - How effective is the text? Rate it on a scale of 1–10, with 10 being very effective. Provide a rationale for your rating. Explain two different techniques (not already mentioned) that the author used to enhance his message. The impact that one person’s life can have is immense. There are many times in our lives that we are confronted with the idea that someone should do something about an issue. Often, we think in terms of crime, rudeness and other negative aspects of our life and we think that someone or a group of people should do something about the issue and fix it. We get frustrated when nothing seems to get done. Spencer Sekyer models the fact that when an individual needs to step up and help, he or she is willing to do so. By modeling this behaviour, Spencer is signalling to the reader that we, too, need to get involved. As long as we expect someone else to do it, nothing will get done. Saving Manno is the story of an ordinary man, a teacher from Edmonton, Alberta, who decided, almost by accident, that he needed to get involved in a project that consumed him. He has made a tremendous impact in drawing attention to the need for caring for the animals of our world through his interaction with a chimp who won his heart. One very ordinary man can do many things and this study shows how everyone can do something. We do not have to sit back and rely on others to do something. It doesn’t have to be something earth shattering like changing the course of history, solving world hunger, or eradicating hurricanes. It can be something as simple as saving the lives of animals and ensuring that animals are treated with the respect that all creatures on our earth deserve. 1. 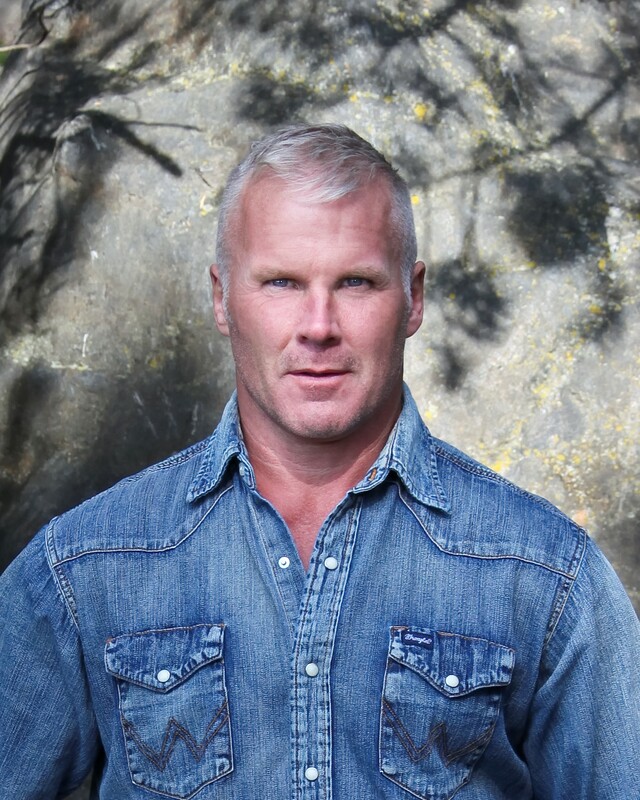 Spencer Sekyer states on page 4 of his book Saving Manno: “I felt a renewed sense of purpose. I had a responsibility to love. My wife. My family and friends. Animals. Soon, our baby would add more love to our lives. To be of this world is to live for this world, and the highest expression of that is to give love”(4). How did Spencer implement this idea in his life? 2. When Spencer was teaching, he took the opportunity to speak with his students, including some from other parts of the world. He asked what had impressed them about Canada after moving to their new home. One student stated that what struck him the most was “How good we have it here” (13). How would you respond to this student in answer to that question about how good we have it here (in Canada)? 3. What does Spencer mean when he says the following about travel: “All travel is good. Anything that expands your world, even if it’s by a few hundred miles, is great. And the earlier you can start, the better” (16)? 4. The first section of the text Saving Manno is titled “Lessons from Canada.” What are three lessons that Spencer Sekyer says he has learned from Canada? Briefly explain these lessons. 5. Spencer has some discussions with his class about his travels and shows the class a picture he took in Sierra Leone. He states: “I went there to teach at a summer school five years ago. Back then, it was considered the second least livable place on Earth.” His students subsequently asked him why he would want to go there. His response was: “Because it was considered the second least livable place on Earth” (15). He wanted more perspective on our world and our place in it. What do you think he meant by that statement and what do we learn about him as a person from that comment? 6. Spencer first encountered Manno, the chimp who was to impact his life in many ways, at the end of chapter 3. Describe the circumstances of this initial meeting between Manno and Spencer? 7. In chapter 4, Spencer discusses at length the connections that humans and apes have. Explain some of the connections identified by Spencer that convince him that Manno needed to be put into a habitat conducive to his growth. 8. The middle section of Saving Manno is titled “Lessons from Abroad.” Explore briefly three lessons that Spencer learned abroad. 9. What are three of the lessons Spencer learned from Manno that are described in the third section of the text, titled “Lessons from Manno”? 10. What are three cultural situations that Sekyer encountered while on his project of Saving Manno? 11. Spencer Sekyer encountered many challenges in his project to save his chimp friend, Manno. What were some of these challenges and what were some of the victories? 12. “How was I going to make a difference?” (47). This is a question Spencer asks himself early on in his project to save Manno. Reflecting on the text, how has he made a difference and how has this process changed him as an individual? 13. Spencer did not do everything on his own. He had a great deal of help on the road to completing his project, and he learned to respect many people who were willing to get involved in his project. Identify three people that he met who you thought were significant in helping Spencer and briefly describe the contribution they made to the project. 14. Identify three aspects of our responsibility to the animal world that you have learned through the process of reading and thinking about Saving Manno, that you didn’t know before. 15. There are a few sections in the text that were quite emotional. During the course of this project, Spencer’s pet dogs, Mac, Emma, and Chloe had to be put down. What was the impact on Spencer and why do you think he included these sections in his book? How did he deal with the loss of Mac, Emma, and Chloe? How does that fit into the theme of caring for animals in our world? Saying good-bye is never easy, and Christie says, “It’s not fair to Mac to let him suffer, even another minute, just to give us more time with him. He’s feeling good right now, so. . .” (108). 16. Each chapter in Saving Manno begins with a quotation. Select two of these quotations that were particularly meaningful for you and explain briefly how you thought they were appropriate for the situation. 17. Spencer concludes his book, Saving Manno, by saying: “Your life is an empty page waiting to be written, an untouched canvas, so go paint your masterpiece with a palette of kindness” (204). In a brief response, explain what you think he means by that statement? What does he want readers to do? Whenever we study a text, whether it is a non-fiction text, a visual text, an essay, a novel, or any other type of text, there are a number of factors that need to be considered. First, what is it about? We want to know what the details of the text are, the techniques that the author has used to explore an idea, the effects that are created, and the main idea that the author is trying to convey to the reader. Second, we need to determine how this main idea affects us, the readers. Our initial response to reading the text may very well be, So what? The author is making many statements and is passionate about what he is saying, but What has that got to do with me? We need to determine what our personal connection to this idea is and how this text compares to other texts that we know about. What do other people say about this idea? Third, we must look at the larger context. We have read the text, we have noted some of our personal responses and connections, and now we look at the broader relevance. How does this idea impact the world in which we live? Does this idea address some of the larger world issues including who is affected by them? By answering these questions we can determine possible theme statements that relate to the text. - First, understand what you are reading. - What is its impact on you—on your ideas and mood? - What thoughts come to your mind about the treatment of animals in our world? - What techniques has Sekyer used that help you to understand his main idea? What seems to be the main idea communicated in the text? 2. So what? How does this apply to me? - How do you relate personally to ideas in this text, or how has this text affected you? - How do you feel about the issue(s) it raises? - What memories or experiences does this text make you think of? - What connection can you make between this text and other people you know (or know of)? - What connection can you make with other texts? - How would you state the theme (or underlying message) of this text in one sentence? - How are the author’s ideas relevant in the world today? - How are these ideas unfolding in the world around us? - Where are these ideas occurring? When? Why? - Are the issues important to all people? - If so, in what way are they important? - Who might be affected by these issues? Using Saving Manno, complete the following chart by responding to the points in the template on the previous page. Use point form; sentences are not required. Explore the relevance of the text to you and others. Explore the relevance of the text to society or to the world. How can you state the theme (or underlying message) in one sentence? 1. What does this text suggest about the impact an individual's choices and actions have on the direction of his or her life? 2. What does this text suggest about the importance of being responsible to others and the animal world on a personal, local, global, and digital level? 3. What does this text suggest about what it means to be successful and the role failure plays in the accomplishment of our goals? 4.What does this text suggest about how an individual's perspective of, and response to, a crisis defines him or her? - Use a prose form (not poetry), which means you need to write in paragraphs that adhere to conventional rules of writing. For example, essay, script, newspaper article, short story, journal, or diary formats are acceptable. Choose the format that best suits you and your topic. - Connect the text to the topic and to the ideas, experiences, and impressions that you have gained while reading the text. Read the topic and the instructions carefully. Decide on which type of response you will write. Then make a plan to keep yourself organized as you write. If you are writing an essay—plan the thesis and topic sentences. You will be assessed on your ability to connect personally with the topic, as well as your reflections on the topic, so it is very important that you incorporate stories from your life or really show your personality through your "voice"—word choice, details, creativity. You are allowed to use the first person (I/me/my) in a personal response. 1. Explore the nature of chimpanzees: how they grow, dietary needs, community practices, natural habitat, and their unique characteristics. 2. Explore the topic of trafficking exotic animals: what are some of the main animals that are captured and sold, what are the main countries of origin, and how severe is this problem? 3. Explore the topic of another species that may be on the pathway to extinction. What are the possible reasons for this potential extinction and how can it be slowed down or halted? - There should be a minimum of three sources consulted. - Be sure to cite each source in your bibliography. When researching online, be sure to copy and paste the URL into your bibliography, including any visuals you might wish to use. Your final draft should be polished before submitted. The final sentence in the text states: “Your life is an empty page waiting to be written, an untouched canvas, so go paint your masterpiece with the palette of kindness.” After reading Saving Manno, construct a series of tweets outlining some possible actions that could be taken to resolve one of the problems encountered in the text. You should have a series of at least three tweets. Provide a response to each tweet. You will have three tweets and three responses. At the beginning of every chapter, Spencer Sekyer includes a quotation from a variety of people and situations. You may choose to select one or more of these quotations as the basis of some of your tweets and explain how each quotation relates to Sekyer’s journey as he worked to gain freedom for Manno. - You will provide a minimum of three pairs of tweets (tweets and responses). - Each tweet can be a maximum of only 144 characters, including spaces. - Each tweet should address a significant topic Sekyer has raised in the text. “What is it that you that you learned by coming here from far away?” (13). “How good we have it here” (13). “All travel is good. Anything that expands your world, even if it’s by a few hundred miles is great. And the earlier you can start the better” (16). “My entire sense of self was invested in being an athlete, and now it was crumbling” (22). “I realized there was something beautiful about having hundreds of thousands of different people around me, challenging my views in ways that weight rooms and hitting drills never would” (22-23). “What style of teacher would I be? I was leaving behind the version of me who had identified so closely with being an athlete, and another version of me was beginning to sprout. It was exciting and heartbreaking at once” (23). “Every bit of the conversation helped feed their curiosity, which I could only hope would lead them to see the world outside of a screen. ’Any chance you get to travel,’ I said, ‘if you can afford it, I hope you’ll buy the ticket’ ” (23). “I was an outsider looking in – how was I going to make a difference” (47)? “I’d never before thought it possible to form intense bonds with another species, but Chloe and Mac slipped themselves into every part of my life with those beautiful golden eyes. At times, I even wondered if it was possible to share this honesty and vulnerability I felt with other humans” (48). “To say that I fell in love with Manno is the truth. Even in those very first moments, I never saw him as just an animal. I saw a sentient being; I saw a little soul” (58). “The human-ape relationship is a complex one, Well-adjusted bonobos who were properly rehabilitated could show tenderness to nonthreatening people. But if rehabilitation didn’t work, it usually meant the animal was spoiled, unable to learn social cues about hierarchy and dominance, and they were often savagely beaten by other bonobos until they learned to submit” (60-61). This package is a huge asset in getting copies of Saving Manno into English Language Arts curricula not only in Alberta but throughout North America. Vic Mensch is a former English Department Head for Alberta Distance Learning Centre and has both a bachelor’s and master’s degree from the University of Lethbridge as well as a Bachelor of Arts in English from the University of Winnipeg. Vic's involvement is extremely exciting as he brings over thirty years of extensive teaching and curricular development expertise in English Language Arts. Vic currently assesses Alberta English Language Arts provincial diplomas exams and the package will be completed at the end of March.